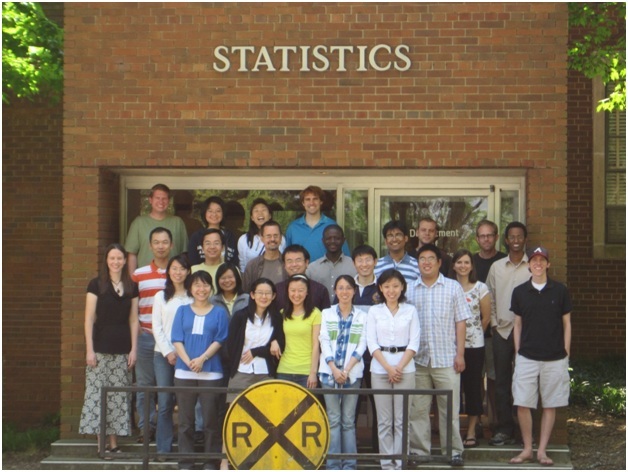 The Department of Statistics at the University of Georgia emerged as a separate department in 1984 after a split of the Department of Statistics and Computer Science, which had been formed in 1964. We have retained a strong emphasis on computing and maintain our own state-of-the-art computing network. Computing is an integral part of our courses and research, which span a rich spectrum from a variety of interdisciplinary emphases to fundamental topics in the core of statistics. The Department has 22 full time faculty who are involved in research, consulting, teaching, and service for the University and the profession. Almost all faculty have a national or international reputation for their contributions, and all of the tenured and tenure-track faculty have active research programs. Our faculty have received many research, teaching and service awards and include multiple elected fellows of the ASA and IMS. We have flourishing graduate and undergraduate programs with around 60 graduate students and more than 50 undergraduate students. Graduate students have been extremely successful in landing positions in academia, industry and government. Undergraduate students also have excellent job opportunities, but a significant number have gone on to outstanding graduate programs. These include graduate programs at Texas A&M University; Harvard University; University of North Carolina Chapel Hill; Georgia Tech; University of Georgia; University of Florida; and Johns Hopkins University.